The Buzzard is the perfect skate boot for the novice skater competition that has good quality for a good price. The Raps Buzzard boot is made by a new process. 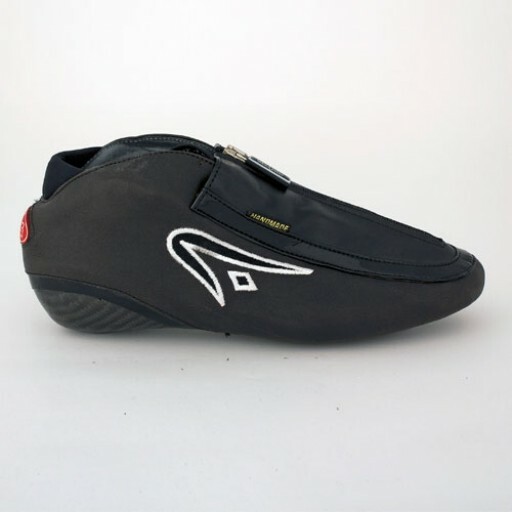 It consists of a thermoplastic (heat deformable) high carbon cockpit which - together with the reading form (base form) - ensures that everyone fits this boot. The shell has a high cow leather exterior and a lorica lining. Обычная цена: 33 615,60 руб. Special Price 29 689,19 руб. The Raps V8 clap skate has a flexible tube. This tube is made of high quality aluminum and is bendable. I.t.t. a steel chassis an aluminum tube to maintain its curved shape. The art of the folding mech in Raps is the strongest on the market and therefore on natural extremely reliable. The bracket is unique in skating. Previous aluminum brackets were used Raps follows from other speed sports like for example the F1. The bracket is made of glass and carbon fiber reinforced composite. Extremely light and extremely reliable. 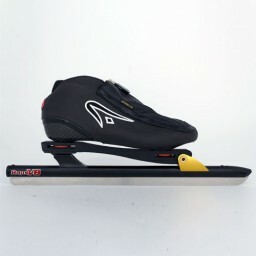 The Raps V8 skate has a stainless steel blade with a hardness of 61 HRC.